Clearly a whistle, but what was it used for? 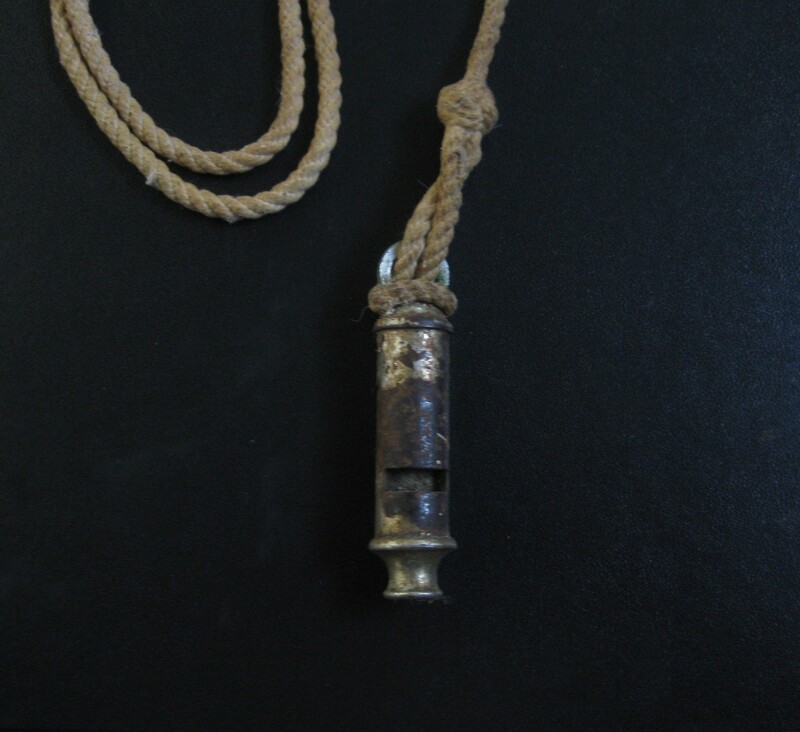 In my opinion the article is a scout`s whistle and lanyard, which was part of the scout uniform, in past years. My son Mark has one identical to this, which was worn by me when I was in the 1st Hornsby troop. And both my sons used this same one. Also, this same whistle was worn by the late Bill Foster. He, being, one of the 1st Berowra boys to join the 1st Berowra troop. Bill Foster was my brother in law, and he gave me the whistle when I joined the scouts and so on. Congratulations to Neil and Merle Davis for their guess – an in fact, this is the very whistle they talk about!